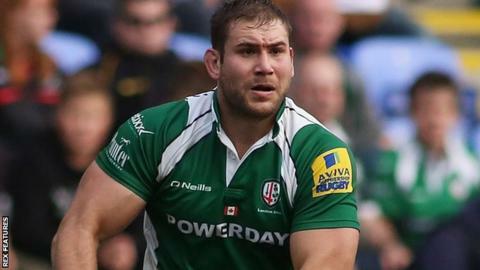 London Irish back row Jebb Sinclair has committed his future to the club by signing a two-year contract extension, taking him through to summer 2018. Capped 42 times by Canada, he has played at the last two World Cups and joined the Exiles in 2011. The 29-year-old has made 78 appearances for Irish, scoring four tries. "Plans are in place to enhance this club's progress over the coming seasons and I'm excited to be a part of it," Sinclair said.